Ben was born and raised in Rhode Island where he attended Motoring Technical Training Institute for automotive technology after graduating from Barrington high school. 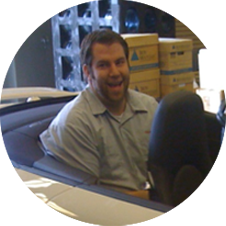 Ben spent the next 5 years at a Boston area Porsche Audi dealership before relocating to Arizona in 2009. Since moving to a warmer climate, Ben has continued to work on his three favorite car manufacturers, Porsche, Audi and Volkswagen. In his spare time Ben regrets selling his India red 964 C4 and enjoys target shooting and riding motorcycles. Scott is a 5th generation Arizona born and his family has been in the car business since 1919 so he grew up with Arizona car service needs. Scott is a proud graduate of Arizona State University where he earned a Business degree. After working at a marketing agency in Chicago he enrolled into UTI to follow his Porsche passion. After almost two years at UTI and receiving his degree Scott was one of 12 people nationwide to be accepted into the Porsche Technology Apprentice Program (PTAP) in Atlanta GA. Scott was trained full time for almost a year on all PORSCHE models. 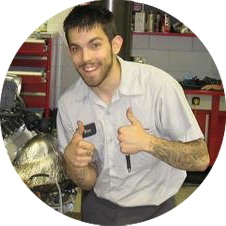 In 2012 Scott opened Mcilvain Motors in Tempe AZ. Scott also is the current Chief Driving Instructor for the Arizona region of the PCA. As a long time member at Inde Motorsports Ranch. Scott has done over 6,000 laps in the left and right seat. Scott is also the technical chair for the PCA and has written many articles for various PCA publications, most of those can be downloaded here . In his free time enjoys taking it easy with his wife Christina and their two dogs.